So here we are, approaching the start of another year. What are your plans for the next twelve months and beyond? I suggest that you make plans which will expand your horizons rather than let them shrink or stay as they have been for years. How can you open your mind and life to new experiences and new ways of approaching the world? Conveniently, I have three suggestions. Go to a new place. What are the places which always make you think or say, “I have always wanted to go there”? Is there a place which has struck you anew as a place worthy of further examination? What is the place you visited as a much younger traveler which you know you would appreciate on an entirely different level now? Go to that place! Even for those of us “in the business” new travel destinations continue to rise above other places, calling for our attention. Make this the year of that new (for you) place. 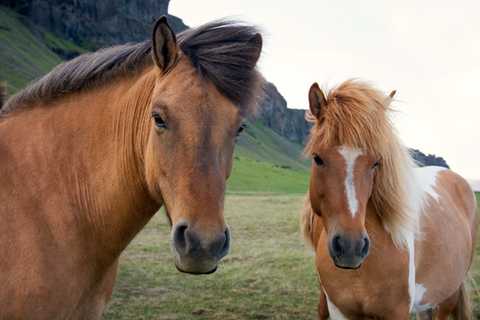 Will this be the year you ride Icelandic horses? Spend more time in a favorite place. The eternal challenge in travel is whether to re-visit places we love or try new ones which we will probably also love. Maybe you have been to a particular place a couple of times. Have you ever spent an extended time there? 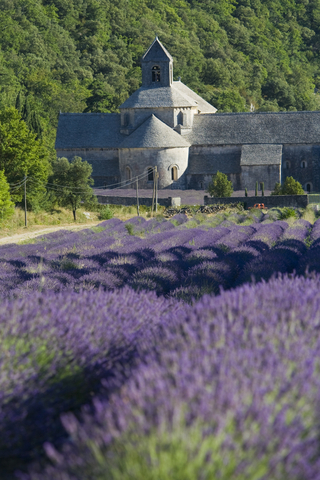 Peter Mayle spent a year in Provence. How long can you stay? Staying a longer time in a foreign city or rural locale gives you an entirely different context for visiting, understanding, and remembering that place. You eat differently and spend money differently when you have a longer view to your plan. The locals might not truly take you in as one of their own, but you can get to know them better over a lengthy stay than on a one night stop. Travel in a new way. If you have never taken a cruise or an escorted tour, this could be your year to try one. Frankly I am curious about people who have never cruised who claim that they would never like it. What is not to like about having someone else provide wonderful meals, comfortable accommodations and charming ambiance for days on end? You can tour or rest as you see fit, and you only unpack and repack your bags once! Professionals make itinerary decisions on your behalf; all you “have to do” is show up to enjoy the activities which you probably would have selected yourselves. Cruises and tours differ so selecting the right one for your preferences is important, but I will be happy to help with that. On the other hand, if you have always and only traveled in a region by cruise or escorted tour, maybe this is the year you should break out into independent travel (which I can also facilitate). I urge you to expand your options in 2014. Resources such as money and energy are renewable (to varying degrees) but we each have only so much time – and no one knows how much of that anyone has! Stretch yourself while you can. This entry was posted in Travel, Uncategorized and tagged cruise, escorted tour, extended stay, independent travel, new place, New Year's, New Year's resolutions, time, travel. Bookmark the permalink. May 2014 bring white sandy beaches, clear water, good food, music of the soul, dancing that goes on all night and beautiful strangers with whom a new life will be shared. May the colours in the skies inspire new arts, and the animals on the ground teach us new respects. May the laughter of children heal wounds brought about by painful histories and in turn, devotions to bring out the best in everything that births real life. Mauritius, Madagascar, Seychelles, Thailand, Brazil, Bahamas, Barbados, Bora Bora…the world is but my playing ground. Your list of playgrounds is a challenge to me. I have only been to Bahamas and Brazil. There is SO much out there to find! Thanks for writing.